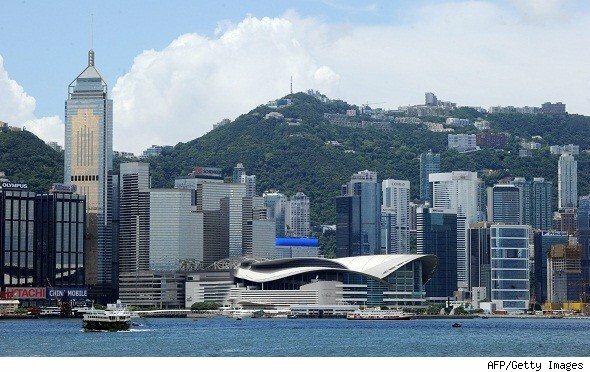 As U.S. regulators fool with the idea that homebuyers should put 20 percent down on home purchases, they need only look across the sea to see what happen when a similar plan was put in place in Hong Kong recently: Sales at 10 of the island-nation’s largest home developments fell almost 60 percent the week after the government raised the minimum down payments and deposits for foreign buyers. Anyone need further proof that requiring $60,000 cash to buy a $300,000 house is going to further dent buyer enthusiasm? At least in Hong Kong, the measure was intended to slow the pace of sales — something we surely don’t need more of here. The Hong Kong government has made several attempts to curb the inflation of home values, including raising mortgage interest rates. This most recent measure was aimed specifically at foreign buyers; about a third of luxury home transactions in the first quarter of this year came from overseas or mainland China. But the results do provide a good indicator of what the U.S. housing market can expect if the 20 percent rule — part of the 376 pages of proposed changes known as the Qualified Residential Mortgages package or QRM — kicks in: Buyers go away. The proposal made this spring by a group of federal agencies would require a 20 percent down payment, limit to one-third a borrower’s debt payment and extend the most-favorable loan rates to only those with excellent credit. Regulators reason that if borrowers had to put down 20 percent of the home’s value, they would have more “skin in the game” and be less likely to walk away from the loan.Perhaps what they didn’t reason was that just fewer people would be able to buy a house. Public reaction to the 20 percent down requirement was swift, and negative; public comment was extended to Aug. 1. “If we require 20 percent down payments to get a loan, we will ensure broad swaths of working- and middle-class people will not be able to get a loan,” John Taylor, chief executive of the National Community Reinvestment Coalition, told the Washington Post. The NCRC advocates an extension of credit to low- and moderate-income borrowers. The QRM is an overreaction to the mortgage crisis caused primarily by toxic loans — the so-called “liar loans” and optional adjustable rate mortgages that put people into homes they couldn’t afford, said David Berenbaum, Chief Program Officer for the NCRC. The default rate for 30-year fixed rate loans has been less than one percent, regardless of the size of the down payment. And of all the loans written in 2009, only 30.5 percent would have met the new proposed standards. Should homebuyers be required to put 20 percent down?